Great Post!!! Keep em coming!! You really know your stuff!! Actually, you probably never saw prune filled aranygaluska (your phonetic spelling is appreciated). What you are likely referring to is another dessert that my grandmother used to make, which we called Buchtas (don’t know the real name). They were, likewise, prune filled dumplings in a yeast dough but they were cooked in a covered pot of water which got totally absorbed. 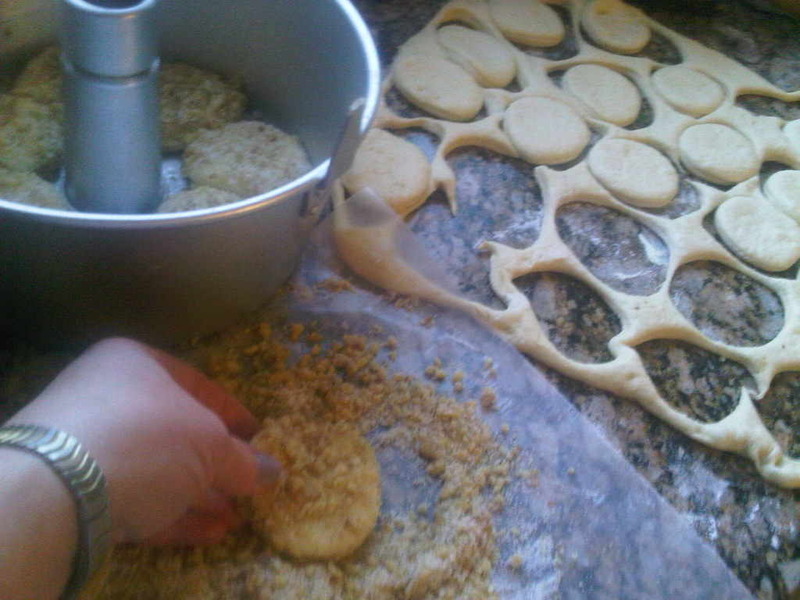 The dough would blow up in the process, yielding a soft, delicious product. 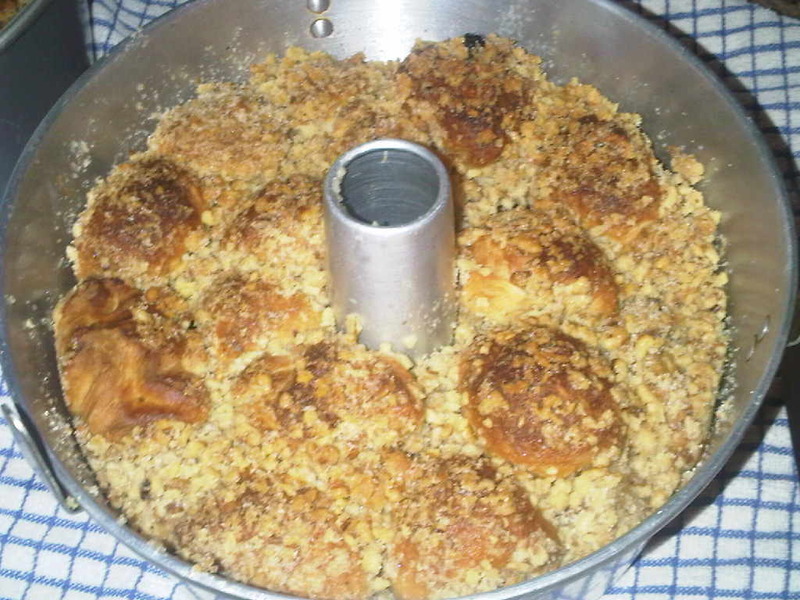 Until this day, when my father sees inflated knaidlach (matzah balls) cooking in water, he calls them Buchtas since they are reminicent of this dessert. I must add, post Purim, that the Aranygaluska was a big hit! 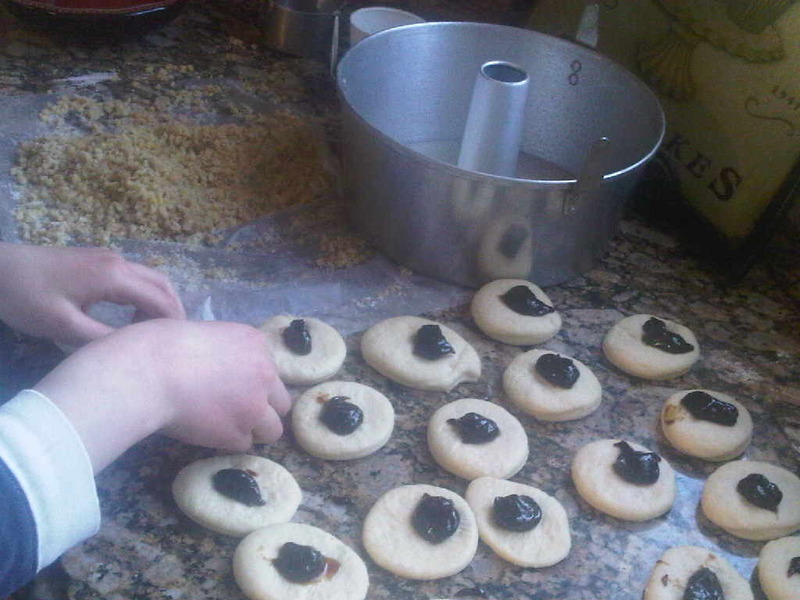 Although my Mom said “yuck” when she heard I was making one with lekvar (prune) filling, she loved it as did just about everyone who tried it!